Click to visit us online! Welcome to Pizzeria Grande on the web, Walpole's #1 choice for pizza, subs and a whole lot more!!! Pizzeria Grande is an independently owned pizza and sub shop that specializes in Italian style pizza and calzone. We offer a variety of lunch and dinner items from subs and salads, to pasta and appetizers! 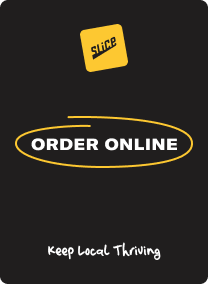 Pizzeria Grande offers free delivery seven days a week all day long to most of Walpole, as well as route one in Norwood, Sharon, and Foxboro!! We also offer take-out and dine in service as well. Pizzeria Grande opened for business in the spring of 1997, and has become one of the most successful pizza and sub shops in the history of Walpole!!! Our pizza is reminiscent of the Old Italian way of making pizza; which starts with a hand tossed, thin crust topped with sauce made from whole plum tomatoes, authentic mozzarella cheese, and cooked crispy in a hearth oven at over 600' F!!! The result is a pizza that is bursting with flavor, quality and a little nostalgia! The Pizzeria Grande Mission Statement: To serve quality food with outstanding customer service in a clean and inviting atmosphere, and to do it at a fair price! Use this web site to learn more about our menu, download and print coupons, get directions and check out employment opportunities!